Let the creativity of your mind design a customized hand-stamped piece of jewelry that you or your loved one will cherish for many years to come. 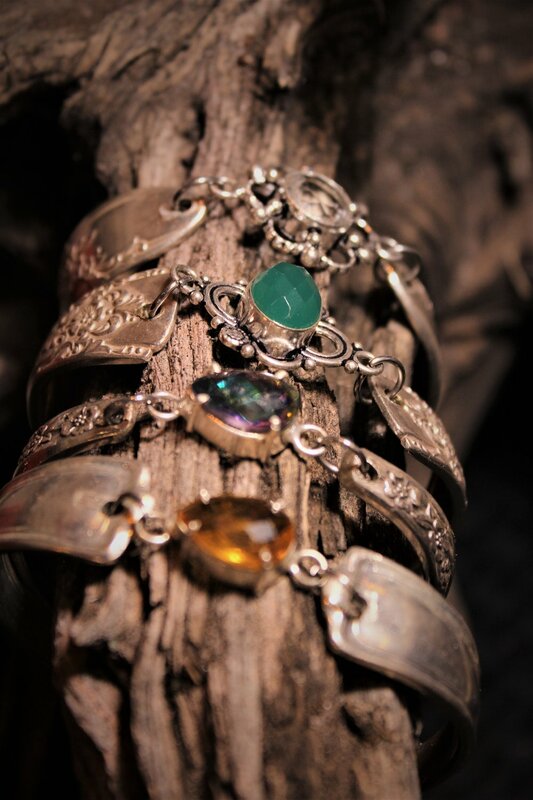 Lady Anvil - Artist, Jennifer Lyn Welle creates timeless pieces that can be handed down from generation to generation. Take a look at some of what she has created and consider the endless possibilities. Each piece has been hand-crafted from vintage silver plated silverware. or saying creating a special gift for someone you love. a piece that is special and unique. becoming a unique and one of a kind wearable art piece. Let us know if you want to create your own design, or see a one of a kind piece. check out our gallery here.